Holiday Hours - Rollins Financial and Rollins & Associates will be closed on Friday, January 1 in observance of New Year's Day. We will reopen on Monday, January 4 at 8:30 am. Initial Jobless Claims Continue To Fall - The Labor Department reported that initial jobless claims for state unemployment benefits fell to a seasonally adjusted 432,000 while the four-week average of initial claims dropped 5,500 to 460,250. The number of continuing claims declined 57,000 to 4.98 million. The four-week average of continuing claims fell 122,500 to 5.1 million. Mortgage Rates Rise to 5.14% - Freddie Mac reported that the 30-year fixed-rate mortgage average rose to 5.14% with an average 0.7 point versus last week at 5.05% and year over year at 5.10%. Oil rises, poised for biggest yearly gain in decade - By Moming Zhou - MarketWatch - "Crude-oil futures rose Thursday and were poised for their biggest yearly gain in 10 years, helped by a weaker dollar and hopes for an economic recovery. Natural gas fell after data showed inventories fell less than expected last week." Consumer Confidence Rises in December - The Conference Board reported that their consumer confidence index rose to 52.9 in December versus 50.6 in November (originally reported at 49.5). This marks the second straight month the index climbed. Consumers were pointing to an improving economy for 2010 as the reason for the upward move. Weekly Sales By Retailers Rises - The International Council of Shopping Centers and Goldman Sachs released survey results that showed that last-minute shoppers helped weekly sales rise by 2.3% year over year and 0.4% week over week. "The pre-Christmas sales wrap-up was strong as consumers hurried to finish off their gift buying, which was hampered by the super-sized storm during the prior week in the Southeast and Northeast and by a slower holiday-gift completion rate than last year," said Michael Niemira, ICSC's chief economist. "As such, consumers were out in force to finish shopping and the preliminary indications appear that sales are on track." For December, ICSC projects sales to rise about 2%. Home Prices Flat for October - According to the Case-Shiller home price index, home prices in 20 major cities were flat in October. In October prices rose in just seven of 20 cities. In the past year, prices are down 7.3% in the 20 cities. 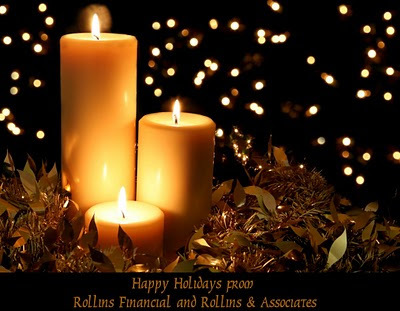 Note - Rollins Financial and Rollins & Associates will be closed on Friday, January 1 in observance of New Year's Day. We will reopen on Monday, January 4 at 8:30 am. Retail Sales Rise - According to MasterCard, retail sales for the holiday season rose 3.6% versus 2008 through Christmas Eve. This news was well received on Wall Street with retailers getting an early bump in price. New Airport Security Measures - Just as most analysts believed that the airlines had finally turned the corner, the security scare over the holidays sparked new measures that some are saying will continue to weigh on airline stocks. Economic Reports This Week - Even in a holiday shortened week, the economic reports continue. The Case-Shiller home price report for October and consumer confidence for December come out Tuesday, the Chicago purchasing managers index on Wednesday and weekly jobless claims on Thursday - the market is closed for New Year's Day on Friday. On Thursday, December 24 and Friday, December 25, Rollins Financial and Rollins & Associates will be closed to celebrate Christmas. Our office will reopen on Monday, December 28 at 8:30. Announcement - Holiday Office Schedule - With Christmas fast approaching, we wanted to detail our holiday office schedule. On Thursday, December 24 and Friday, December 25, Rollins Financial and Rollins & Associates will be closed to celebrate Christmas. Our office will reopen on Monday, December 28 at 8:30. Our office will also be closed on Friday, January 1 to celebrate New Year's Day. Our office will reopen for 2010 on Monday, January 4 at 8:30. Consumer Sentiment Improves - According to the Reuters/University of Michigan consumer sentiment index, the US consumer was feeling better overall with the index reporting a 72.5 versus November's 67.4. Wage Growth, Personal Income, Disposable Income Rise - The Commerce Department estimated that compensation to workers rose 0.3% in November which economists say is another signal that the US labor market is starting to improve. The increase in wages and salaries was the best since April, and helped to push up total personal incomes by 0.4% in November which is the biggest gain since May. After inflation, after-tax disposable incomes rose 0.2% for the third straight month. Inflation-adjusted real spending increased 0.2% in November after a 0.4% gain in October. The personal savings rate was steady at 4.7%. New Home Sales Fall - The Commerce Department estimated that sales of new homes fell 11.3% in November to a seasonally adjusted annual rate of 355,000. The drop was largely due to the home purchase tax credit that had been expected to expire but was extended to June 30, 2010. The sales rate was the lowest since April and the previous months had sales boosted by the tax credit. Treasury to Seek Easing of Bailout Fund Rules - By Glenn Somerville - Reuters - "The Treasury Department will ask Congress to ease restrictions on the use of bank bailout funds (TARP) so it can use some of the money to encourage more lending to small businesses, a department official said on Wednesday." Existing Homes Sales Jump 7.4% - The National Association of Realtors reported that on the back of the expiring federal tax credit, November existing home sales jumped by 7.4% to a 6.54 million seasonally adjusted annual rate. This marked the highest rate since February 2007 and was the third straight large increase. Existing home sales are up 28% since August. Buyers were rushing in November to finalize sales ahead of the Nov. 30 expiration for the tax credit, said Lawrence Yun, NAR's chief economist. The tax credit was subsequently extended and expanded to include repeat buyers. Final Q3 GDP Revised to 2.2% - The Commerce Department revised the 3rd quarter GDP number to an annual growth rate of 2.2%. While the final rate was lower than initially reported, real gross domestic product increased for the first time since the spring of 2008 with higher consumer spending, a rebound in investments in homes, a slower pace of inventory reduction, more exports, and robust government spending. Analysts on Wall Street had expected a smaller revision to 2.7%. Futures responded positively to the news though. Sturdy U.S. Home Sales Bolster Economic Growth Prospects - By Lucia Mutikani - Reuters - "Sales of previously owned U.S. homes jumped last month to their highest level in nearly three years, the latest sign that the economic recovery was gaining steam, after growing below expectations in the third quarter." Senate Bill Passes Procedural Test - In an effort to have a vote by Christmas, the Senate passed a key procedural motion on a controversial and landmark health-care reform bill, moving closer to allowing a vote on the legislation itself. The motion passed on strictly party lines, with all 60 Democratic and independent senators in support, and was seen as a major test for the bill. It moves the bill closer to a final Senate vote, which the Democrats want by Dec. 24, allowing the legislation to move to a conference with the House, which has already passed its own health-care reform bill. A reconciled version would then need to be approved by both houses of Congress. U.S. Health Bill Passes Crucial Senate Test - By Eric Walsh - Reuters - "In a middle-of-the-night vote in a snowbound U.S. capital, Democrats unanimously backed the first in a series of three procedural motions to cut off debate and move the bill to a final vote by at least Christmas Eve. 'We'll get this passed before Christmas and it will be one of the best Christmas presents this Congress has ever given the American people,' Democratic Senator Tom Harkin said." The Hardest Call - By David Brooks - The New York Times - "The first reason to support the Senate health care bill is that it would provide insurance to 30 million more Americans." Below the announcement is today's Points of View section. The two main topics for today cover financial regulation (primarily banks) and climate change (following the close of the Copenhagen Summit). There are some very good points made for both topics, and as always, it is good to understand varying points of view. Not All Banks Are Created Alike - By Robert G. Wilmers - The Wall Street Journal - "Congress is moving rapidly toward new financial-services regulation, focused on limiting the sort of 'systemic risk' said to have helped bring on the current recession. But we are also in a period where there is great concern about the limited availability of credit to fund companies whose growth could bring down the country's persistent high unemployment." Even Bigger Than Too Big to Fail - The New York Times - "Asserting that it 'is among the strongest banks in the industry,' Citigroup announced on Monday that it would soon repay $20 billion of federal bailout money. This from a bank that has been in the red for most of the past two years, that is expected to limp through 2010 amid a torrent of loan losses, that saw its stock price close after the announcement at a measly $3.70 a share — and that, like other big banks, is still reluctant to lend." London as a Financial Centre: The Real Windfall - The Economist - "BRITISH AIRWAYS lost £292m ($465m) in the six months to the end of September and its pension fund has a £3.7 billion deficit. Its cabin crew responded by voting to strike over the Christmas period, alienating the millions of customers that pay their wages and fund those pensions. Similarly, London now risks losing its reputation as a hub of international finance, driving away mobile capital and taxpayers at a time when the government’s deficit is above 10% of GDP. There will be no immediate exodus. But the impression that tax policy is now designed to maximise the number of Labour votes rather than the state’s revenue should worry Britons as well as financiers." Global Warming and an Odd Bull Moose - By Daniel B. Botkin - The Wall Street Journal - "Most of the major forecasting tools used in global-warming research, including the global climate models (known as general circulation models of the atmosphere) and those used to forecast possible ecological effects of global warming, paint a picture of nature more like a Hudson River School still-life than like the moose that kicked at the shore. These forecasting methods assume that nature undisturbed by people is in a steady state, that there is a balance of nature, and that warnings the climate is at a tipping point mean that the system is about to lose its balance. In fact, however, nature has never been constant. It is always changing, and life on Earth has evolved and adapted to those changes." Goodbye, Copenhagen - By Tobin Harshaw - The New York Times - "Let’s play Double Jeopardy. Presidential Headaches for $2,000, please, Alex. What is the Copenhagen Summit? Of course. But before we get to Final Jeopardy, let me ask a serious question: Wasn’t two weeks of talk exactly what most everyone involved expected from the great environmental get-together? " Copenhagen's Lesson in Limits - The Wall Street Journal - "Mr. Obama's inexplicable injunction yesterday that 'the time for talk is over' appears to have produced an agreement to continue talking. The previous 12 days of frantic sound and pointless fury showed that there isn't anything approaching an international consensus on carbon control." Senate Committee Approves Bernanke Nomination - The Senate Banking Committee on Thursday approved the nomination of Federal Reserve Chairman Ben Bernanke for a second term 16 to 7 which now means it will go to the full Senate for a final confirming vote. The Senate is not expected to take up the nomination until some time in January (his term expires on January 31). While approval is widely expected, Bernanke faces an unusual amount of opposition from lawmakers who are disgruntled over the Fed's bailout of financial firms. Leading Indicators Rise 0.9% - The Conference Board reported that the index of leading economic indicators rose 0.9% in November versus 0.3% in October. This rise marked the eighth straight month of rising indicators. Overall, six of the 10 leading indicators were positive, and the index is up at a 9.6% annual pace over the last six months. "Looking ahead, we can expect a slowly improving economy through 2010," said Ken Goldstein, an economist at the Conference Board. In November, six of the 10 leading indicators improved: the interest-rate spread, stock prices, jobless claims, average hours worked in manufacturing, the real money supply, and building permits. Three indicators were negative: consumer expectations, delivery times, and capital equipment orders. The index for new orders for consumer goods was unchanged. Initial Jobless Claims Rise - Initial jobless claims rose by 7,000 last week to 480,000 which was more than expected by Wall Street. Most analysts had predicted a drop to around 465,000. The news put a damper on the morning to start the session. Gold Down on Stronger Dollar - On the jobless claims news, gold futures fell close to 2% to about $1,114 an ounce. Manufacturing Improves - According to data released by the Philadelphia Federal Reserve, manufacturing improved in November. The Philadelphia Federal Reserve's index on manufacturing improved more than expected to 20.4 this month from 16.7. Natural Gas Rises Sharply - Natural gas rose 7% after the Energy Information Administration reported a drop in natural gas supplies. After nearly nine months of build-ups, natural gas in storage fell for the second week in a row, this time by 207 billion cubic feet, the EIA said. The drop was much bigger than expected. Analysts surveyed by Platts expected no more than a 4 billion cubic feet withdrawal. Required Minimum Distributions for 2009 - Just a reminder that for 2009 there are no required minimum distributions necessary from IRA's or Inherited IRA's. As such, Rollins Financial has not sent the usual annual distribution paperwork. If there are no changes, in 2010, the required minimum distribution laws will go back into effect. CPI Rises for November - The Labor Department reported that the consumer price index (CPI) rose a seasonally adjusted 0.4% in November primarily due to a rise in energy prices (PPI rose on energy prices too). The core CPI (excludes food and energy prices) was flat in November. Year over year, the CPI has risen 1.8% while the core CPI has risen 1.7%. Housing Starts Rise 8.9% in November - The Commerce Department estimated that construction of new homes rose 8.9% to a seasonally adjusted 574,000 annualized units. The 8.9% increase was the largest increase since May. Starts of new single-family homes rose by 2.1% to 482,000 in November, while starts of large apartment units jumped 67.3% to 92,000. Building permits, a leading indicator of housing construction, rose 6.0% to a seasonally adjusted annual rate of 584,000. Bernanke - TIME Person of the Year - Time magazine on Wednesday named Federal Reserve Chairman Ben Bernanke its person of the year for 2009. In an editor's letter, the magazine noted that Bernanke had once written that the Great Depression could have been avoided if the Fed hadn't taken some of the actions it did back in the 1930s. "We've rarely had such a perfect revision of the cliche that those who do not learn from history are doomed to repeat it," wrote Managing Editor Richard Stengel. "Bernanke didn't just learn from history; he wrote it himself and was damned if he was going to repeat it." PPI Rises 1.8% in November - The Labor Department reported that the Producer Price Index (PPI) rose 1.8% in November with the vast majority of the increase coming from energy prices. This new data marks the first rise in the PPI since November 2008. The core PPI (excludes food and energy prices) rose 0.5% in November. Year over year, the PPI is up 2.4%, and the core PPI is up 1.2%. Oil Rallies - Oil rallied, although only slightly, after OPEC announced that it was increasing the estimate of demand for oil in 2010. Oil has had nine straight down days previously which is the worst run since 2001. Industrial Production Rises - The Federal Reserve reported that industrial production from factories, mines and utilities rose 0.8% in November. Manufacturing activity alone jumped 1.1% after falling 0.2% in October. Industrial production was revised down to no change in October from the prior estimate of a 0.1% gain. Capacity utilization rose to 71.3% in November from 70.6% in October. Wells Fargo Sells $10.65 Billion Shares to Exit TARP - By Elinor Comlay - Reuters - "Wells Fargo & Co sold $10.65 billion in stock on Tuesday, raising funds to help repay a $25 billion bailout received from the U.S. government last year. Wells Fargo and Citigroup -- which expects to raise $20 billion on Wednesday to help repay its bailout money -- were the last of the largest banks to repay the funds, which were forced on banks amid the height of the financial crisis last year." AT&T Takes the Blame, Even for the iPhone’s Faults - By Randall Stross - The New York Times - "I LOVE my iPhone. I just wish it were matched with Verizon Wireless, the carrier with the most envied reputation as fast, ubiquitous, reliable, nigh perfect. Consumer Reports has just released its annual survey of cellphone service, and its respondents collectively agree with me about the rankings: AT&T occupies the bottom and Verizon, the top." Exxon Mobil to buy XTO Energy in big U.S. gas bet - By Matt Daily and Anna Driver - Reuters - "Exxon Mobil Corp will buy XTO Energy Inc in an all-stock deal valued at about $30 billion, in a move that thrusts the U.S. energy giant to the forefront of North America's fast-growing natural gas industry." President Meets with Bankers After Televised Blast - By Ronald D. Orol - MarketWatch - "President Barack Obama is sitting down Monday with the top executives of the nation's largest banks at the White House, with echoes of "fat cats" ringing in everyone's ears. On the eve of the meeting, Obama slammed bankers on network television, calling them "fat-cat bankers" on CBS's "60 Minutes" program." Charitable Donations - Please make sure you give your charitable donations (whether cash or non-cash) prior to December 31 and get a receipt or letter from the charity acknowledging the gift. Donations can be cash (via cash, check, or credit card) or non-cash (stocks, household items, cars, etc.). You will need the receipts for your 2009 tax return. Annual Gifts - If you are in the habit of giving annual gifts to your children, grandchildren, etc. for estate reasons, those "annual" gifts need to be made prior to December 31 also. The limit for 2009 is $13,000 each gift. Call or email us with questions if you need more information. 2009 IRA Contributions - Have you made your 2009 IRA contribution? If not, why are you waiting? This is something that is best to get done early in the year instead of waiting. In fact, the best thing to do is to make your 2009 contribution now and make your 2010 contribution in three weeks. The limit for 2009 is $5,000 except for those that are 50 and older where the limit is $6,000. The same limits will apply for 2010. Contributions & Investments in Your 401(k) - Are you contributing the max to your 401(k)? Have you reviewed the investments that you have? Do you have a 401(k) from an old job that you need to rollover? These are all things that you should be considering, and these are all things that we are here to help you with. 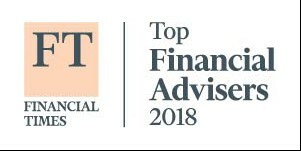 Let us help you review your current 401(k) contributions and allocations, and if there are old 401(k)'s out there, it is definitely time to consolidate them. Bonus Depreciation - If you are self-employed or an owner of a business, the stimulus bill extended the first-year depreciation of 50% of the cost of new equipment purchased and put into service in 2009. This bonus provision is in addition to normal depreciation and tax deductions available under Section 179 of the tax code. It applies to purchases of tangible personal property such as equipment, computers, telephone systems, and office furniture. This is highly technical though and prior to purchasing anything, we recommend discussing this with your accountant to make sure your purchase will qualify. Need an Accountant? - If you are wondering about how the new laws and provisions in the tax code will affect your taxes and you, then you may very well need an accountant. There is a huge difference between a Certified Public Accountant (CPA) and just a tax preparer at a some local office. Our sister company, Rollins & Associates, is a CPA firm and can discuss the issues above as well as your particular tax situation with you. Call our office at 404.892.7967 to discuss your specific questions or make an appointment. November Retail Sales Rise Again -The Commerce Department released an estimate that retail sales rose 1.3% in November for third monthly increase in the past four months. The gains came from almost all areas of the economy including autos, gasoline, department stores and hardware stores with only clothing and furniture store sales to the downside. Excluding autos sales, retail sales rose 1.2%, the biggest gain since January. Consumer Sentiment Jumps in December - The Reuters/University of Michigan consumer sentiment index rose to 73.4 in early December from 67.4 in November. This is the highest level of consumer sentiment since September. The change in sentiment was attributed to the strong stock market and last week's improved job report. Government to Make $936 Million on JP Morgan - The Treasury Department announced that the government expects net proceeds of $936 million from the sale of warrants to purchase common stock of JPMorgan Chase (the warrants came as part of the TARP investment). The secondary public offering of 88.4 million warrants was priced in an auction at $10.75 per warrant and is expected to close on December 16. Dollar Stronger After Retail Sales and Consumer Sentiment, Gold and Oil Down - The dollar continued stronger today versus major rivals on after data showed retail sales and consumer sentiment were better than expected. The dollar index, a measure of the dollar against a trade-weighted basket of rival currencies, traded as high as 76.73 versus Thursday's close of 75.996. Crude and gold futures remained lower due to the stronger dollar. Crude for January delivery fell about 0.5% to around $70 per barrel, and December gold also lost 0.5% to about $1,120 an ounce. Initial Jobless Claims Rise - The Labor Department reported that the number of people filing claims for state unemployment benefits rose by 17,000 to a seasonally adjusted 474,000. This marked the first rise in initial claims in six weeks. The number of people collecting state benefits fell by 303,000 to a seasonally adjusted 5.16 million in the week ending Nov. 28. Trade Gap Narrows in October - The Commerce Department reported that trade deficit narrowed by 7.6% in October to $32.9 billion since exports rose faster than imports during the month. Crude oil imports were down in the month and contributed to the decrease. The deficit for the year now totals $304 billion, down sharply from $610.8 billion in the same period one year ago. Bank of England Leaves Rates Unchanged - The Bank of England left its key lending rate unchanged at a record low of 0.5%. The central bank said its Monetary Policy Committee made no changes to the bank's 200 billion pound ($324 billion) asset-purchase program. Natural Gas Inventories Drop - The Energy Information Administration reported that natural gas inventories fell for the first time in nine months, down 64 billion cubic feet. On the news, natural gas futures spiked up 7%. AT&T May Have to Limit iPhone Users - By Charley Blaine - MSN - "OK, you truly wild and crazy iPhone users. You know who you are: the ones who check out every application, play every game, call up every piece of news and check out every restaurant within 100 miles. You are causing AT&T (T) a big problem. You're swamping the system, and AT&T, which has an exclusive right to market the iPhone in the United States, wants you to get a life and dial back. " Treasury extends bailout program to October 2010 - By David Lawder - Reuters - "Treasury Secretary Timothy Geithner on Wednesday moved to extend the government's $700 billion bailout fund into October 2010 and pledged to deploy no more than $550 billion of it." Britain to Impose a 50% Tax on Banker Bonuses - Chancellor of the Exchequer Alistair Darling said in his annual pre-budget report (outlines budget and deficits) that he wanted to give the banks a choice since all benefited directly or indirectly from massive government aid. "They can use their profits to build up their capital base. But if they insist on paying substantial rewards, I am determined to claw money back for the taxpayer," he said. Essentially, any bonuses above 25,000 pounds would be taxed at 50%. Industry and banker associations in the UK immediately opposed the idea. Richard Lambert,director general of the Confederation of British Industry, said the threat of top bankers leaving the U.K. is real. "A headline-grabbing tax on bankers' bonuses may have populist appeal, but the government needs to take care not to put the U.K.'s financial services sector at a comparative disadvantage internationally," Lambert said in a statement. Meanwhile, Angela Knight, chief executive of the British Bankers' Association, stated, "The U.K.'s banks have already agreed to observe pay restraints where bonuses are mostly deferred and paid in shares. We are already well ahead of the other G20 countries in doing this." "Only concerted international agreements will succeed in reforming remuneration in the financial sector," she added. Oil Down After Data - The Energy Information Administration reported crude inventories fell 3.8 million barrels in the week ended Dec. 4, . Gasoline inventories, however, rose 2.2 million barrels, as more gasoline was produced than what's needed. Distillate stockpiles, which include heating oil and diesel, also rose 1.6 million barrels. Crude fell since refiners used more oil to produce petroleum products while crude imports declined. No Way, No How, to the Public Option - An Interview with Joe Lieberman - By Kimberley A. Strassel - The Wall Street Journal - "The senator from Connecticut doesn't look sorry. Sitting in his office on Wednesday, he looks like he's having the time of his life. Ever since his bruising 2006 re-election, in which he quit the Democratic Party to run as an independent, Mr. Lieberman has been a man unleashed. He's caucused with Democrats yet campaigned for John McCain. He's enthusiastically supporting President Barack Obama's Afghanistan surge and just as spiritedly criticizing his decision to try 9/11 terrorists in U.S. courts. He's joined Democrats to reform health care, even as he's promised to torpedo their government-run insurance option." Senate Health Care Follies - The New York Times - "The first week of debate on the Senate’s health care bill was a depressing mixture of foolish posturing by members of both parties and blatant obstructionism by Republicans. If this is the best the Senate can do, we are in for very rough going." Blue Cross Blue Patients - The Wall Street Journal - "Another day, another study confirming that ObamaCare will increase the price of health insurance. The Blue Cross Blue Shield Association has found that premiums in the individual market will rise on average by 54% over the status quo, which translates into an extra $3,341 a year for families and $1,576 for singles. The White House denounced the report as a 'sham' before it was even released, which shows how seriously it takes such concerns." Stopping Climate Change - The Economist - "At a time when they are not short of pressing problems to deal with, the presence of 100-odd world leaders at the two-week meeting that starts in Copenhagen on December 7th to renew the Kyoto protocol on climate change might seem a little self-indulgent. There will be oceans of planet-saving rhetoric, countless photographs of politicians wearing dark suits and serious faces and, if things go according to plan, an agreement to cut emissions to avert a rise in temperature that might anyway have turned out to be marginal and self-correcting." Will Big Business Save the Earth? - By Jared Diamond - The New York Times - "There is a widespread view, particularly among environmentalists and liberals, that big businesses are environmentally destructive, greedy, evil and driven by short-term profits. I know — because I used to share that view. But today I have more nuanced feelings. Over the years I’ve joined the boards of two environmental groups, the World Wildlife Fund and Conservation International, serving alongside many business executives." Jobs Data Points to Slowing Job Losses - Unemployment Improves to 10% - The Labor Department reported that the labor market has dramatically improved over the past several months with the unemployment rate improving to 10%. Nonfarm payrolls dropped by a seasonally adjusted 11,000 in November which is the fewest since December 2007. Payroll losses in September and October were both revised lower by a total of 159,000 which helped lead to the revision in the unemployment figure. Analysts had expected job losses to be over 100,000 jobs and the unemployment rate to remain at 10.2%. Oil, Gold Both Drop on Stronger Dollar and Jobs Data - Well, it looks like the continued rise in gold was put on hold for at least one day as gold futures dropped more than 4% or $50 on a stronger dollar and a much better jobs report. Crude oil also had fallen on the stronger dollar by about 1%. October Factory Order Rise - The Commerce Department reported that orders for factory goods increased 0.6% in October. October marks the six month out of the last seven that factory orders have risen. Factory orders were led by a 1.6% rise in nondurable-goods orders. Core capital equipment orders fell 3.4% in October, revised down from a 2.9% fall estimated a week ago, the government said. Inventories rose 0.4% in October, the first gain following 13 straight declines. Fed Futures See Interest Rate Increases in August - Interest-rate futures indicated traders expect that the Federal Reserve will increase its target rate by August 2010 on the basis of the better than expected jobs data this morning. The August 2010 fed funds contract indicated traders expect rates to rise to 0.50% by then, compared to a 0.34% rate a week ago and from the current range of zero to 0.25%. Futures for December 2010 show traders expect the benchmark rate to be 0.94% by then, compared to 0.81% on Thursday. Obama Says Jobs Data Good - But Not Good Enough - "We have a lot more work to do before we can celebrate," Obama said at previously scheduled Allentown, PA town hall event to discuss jobs. "Too many members of our American family have felt the gut punch of a pink slip." "Every one of us knows someone who has been swept up by this storm." The steps taken earlier this year "have helped turn the tide," he said, promising to announce more ideas "to help jumpstart private sector hiring and get Americans back to work." In the Q&A section of the event, he was pressed on small business credit issues and healthcare which he stated he was working with Congress to address both issues. Initial Jobless Claims Drop 5,000 - The Labor Department reported new claims for state unemployment benefits dropped by 5,000 to 457,000. This marks the fifth straight week of declines. This is the fewest initial claims since September 2008. The total number of people claiming benefits rose by 527,000 to 9.61 million, as a new program for extended benefits kicked in. Productivity Revised Down - Still Best in 6 Years - The Labor Department reported that nonfarm business productivity increased at an 8.1% annual rate in the third quarter which is a revision from last month's 9.5% estimate. Unit labor costs fell 2.5% which is higher than the negative 5.2% decline. In manufacturing, productivity increased at a record 13.4% annual rate and unit labor costs fell 6.1% annualized. Service Sector Contracts in November - The Institute for Supply Management reported that the service sectors of the economy contracted in November to 48.7% from 50.6% in October. This followed two months of expansion in the service sector. Six of 18 industries were expanding in November, the ISM said. The employment index rose to 41.6% from 41.1%. The new orders index fell to 55.1% from 55.6%. Natural Gas Inventories Rise - The Energy Information Administration reported that natural gas inventories rose 2 billion cubic feet last week. At the current level, stocks were 470 billion cubic feet higher than last year at this time and 487 billion cubic feet above the five-year average. NBC deal seen as a step toward more focused GE - By Scott Malone - Reuters - "The long-expected sale of the media business, which accounted for about 10 percent of GE revenue, focuses the world's biggest maker of jet engines and electricity-generating turbines more tightly on its core business of selling heavy equipment and financing the purchase of it." Cyber Monday a Big Hit - According to Coremetrics, sales from "Cyber Monday" rose 13.7% from last year and beat Black Friday's sales figures - 24.1% higher. Cyber Monday shoppers spent about $180.03 per online order, up 38.2% from the 2008 level when consumers spent an average of $130.24. Cyber Monday shoppers also bought nearly 10% more items than this year's Black Friday shoppers, and 30% more than during last year's Cyber Monday. Pending Home Sales Index Rises - The National Association of Realtors reported that the pending home sales index rose a seasonally adjusted 3.7% in October from September - the ninth straight month of increase. The index is up 31.8% year over year and 6% from September. The index tracks sales contracts on pre-owned homes. ISM Still Shows Expansion - The Institute for Supply Management reported that the ISM manufacturing index fell to 53.6% from 55.7% in October - still the fourth straight month of improvement though. Readings over 50% indicate more firms said they were growing than said they were contracting. In November, 12 of 18 industries were expanding. The new orders index rose to 60.3% from 58.5% in October. The production index fell to 59.9% from 63.3% in October. The inventories index fell to 41.3% from 46.9% n October. Fed's Plosser Calls For Higher Rates - In a speech on Tuesday, Philadelphia Fed President Charles Plosser said the Fed needed to start raising interest rates sooner rather than later and had to begin withdrawing excess cash from the financial system. If the Fed does not act soon "the inflation rate is likely to rise to levels that most would consider unacceptable," he warned. Plosser will not be a voting member of the Fed interest-rate committee until 2011. Plosser was estimating GDP growth to average around a 3% annual rate over the next two years.